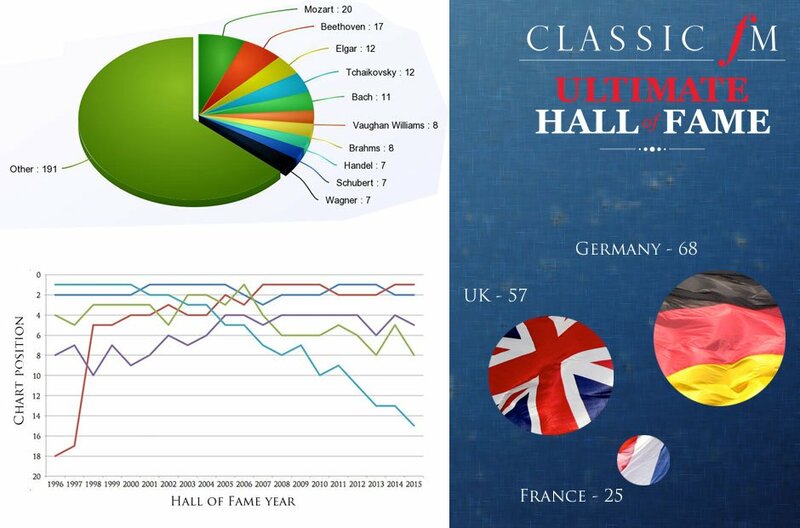 After 20 years and almost three million votes, here are some of the most fascinating facts and figures from the Ultimate Classic FM Hall of Fame. Our no.1 piece, Rachmaninov’s Piano Concerto No.2, has only been outside the top 2 once in the 20-year history of the Hall of Fame. It came third in 2007.